Chinese general cargo ship Quan Hai 88 sank after hitting a reef near Quanzhou, Fujian yesterday evening. 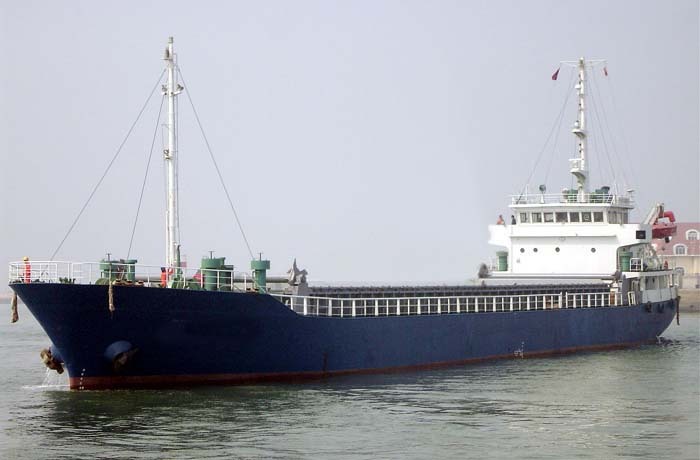 The ship, which was enroute from Dongguan in Guangdong to Jiaxing in Zhejiang, suffered a hull breach after hitting the reef under rough sea conditions forcing the crew to abandon the ship. The local coastguard in Fujian sent a patrol boat after receiving the distress signal from the ship’s captain and managed to rescue all 16 crew members. According to the ship’s captain, the incident happened after strong winds forced the ship to deviate from its planned route. The vessel is operated by Xiamen-based Quanhai Shipping.